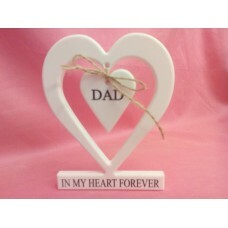 12mm white Corian heart with hanging heart. Base of heart is engraved with in my heart forever. 145mm wide by 180mm tall . small heart is 75mm in size.